The band will bring their superb live show to Sounds Of The City this summer at Manchester’s Castlefield Bowl on Thursday 6 July. Arcade Fire’s headline show is also part of Manchester International Festival, and will be their first in the city for six years. 2017 will see Win Butler and his crew return with European festival appearances this year such as the Isle Of Wight and Spain’s Primavera and should also see the follow-up to the acclaimed album Reflektor. This year’s Sounds Of The City also sees shows from Richard Ashcroft, Haçienda Classical, The Levellers and The Waterboys, James and Blossoms at Manchester’s Castlefield Bowl. 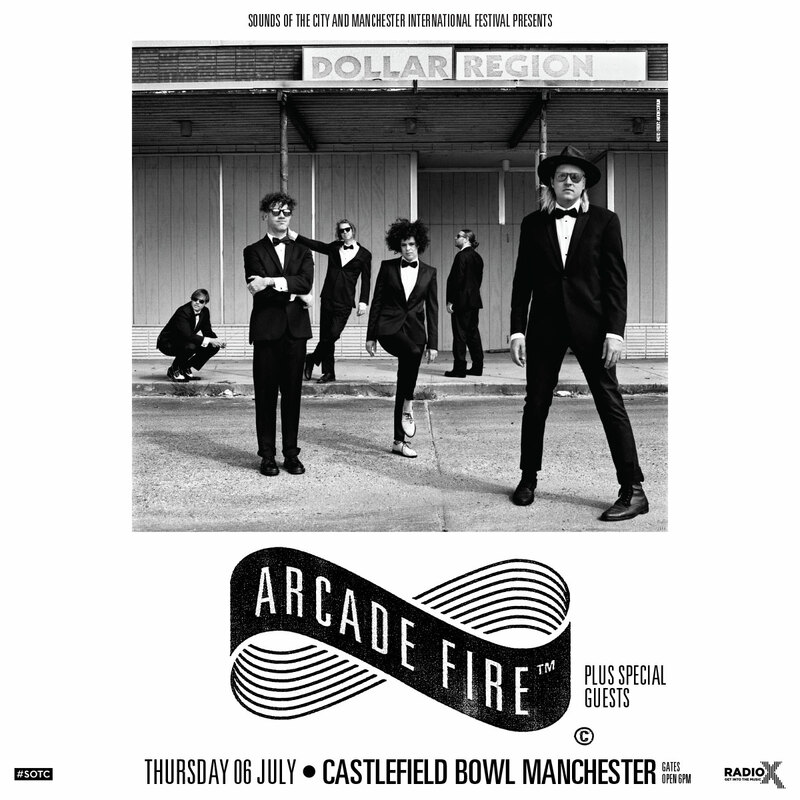 Tickets for the Arcade Fire show will go onsale at 9am on Friday 17 February at www.Gigsandtours.com. The full line-up for Sounds Of The City 2017 is as follows, with more special guests to be announced. Radio X and Global Radio are the exclusive radio partner of Sounds Of The City. Last year's event saw Catfish And The Bottlemen, James Bay, Stereophonics and more on the bill. Meanwhile the Reflektor outfit have also announced dates in Dublin and Belfast.